Whether breathlessly enthusiastic, serenely calm, or really concentrating right now on their personal zombie issues, Elizabeth Crane's happy cast explores the complexities behind personal satisfaction. Elizabeth Crane is the author of two previous story collections, When the Messenger is Hot and All This Heavenly Glory. Her work has also been featured in numerous publications, including Chicago Reader and The Believer, as well as several anthologies, including McSweeney's Future Dictionary of America and The Best Underground Fiction. A winner of the Chicago Public Library's 21st Century Award, Crane teaches creative writing at Northwestern's School of Continuing Studies, The School of the Art Institute, and The University of Chicago. She lives in Chicago. 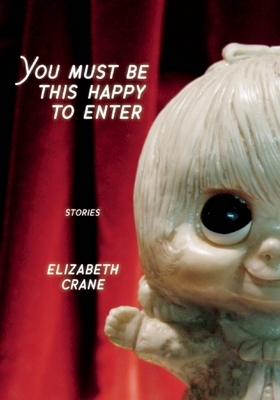 Elizabeth Crane is the author of two previous story collections, When the Messenger is Hot and All This Heavenly Glory. Her work has also been featured in numerous publications including Other Voices, Nerve, The Chicago Reader, The Believer, as well as several anthologies, including McSweeney's Future Dictionary of America, The Best Underground Fiction, The Best Show of Their Lives.